Get behind the line or else! 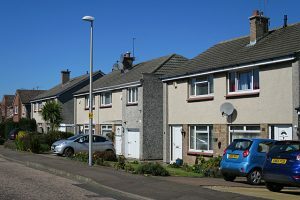 Homeowners across the UK have been left furious after being fined day after day despite parking on their own driveway. Why you may ask? Simply because their car sticks out by inches onto the pavement. 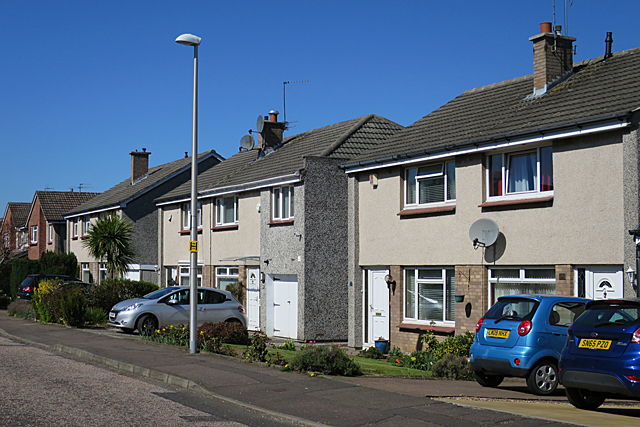 Homeowners left angry after receiving fines for parking on own driveway but sticking out by a small margin © Copyright Anne Burgess and licensed for reuse under this Creative Commons Licence. Motorists are being handed tickets on a daily basis in some areas of the country, with drivers living in Roll Gardens, Gants Hill, in Ilford, Essex, reported to have received two to three fines in one day! According to reports, a new enforcement officer has been asked to patrol the Gants Hill area and are coming down heavy on bigger vehicles that stick out onto the path. However, angry residents are arguing that their driveways were built back in the 1940s, so are not long enough for some modern cars. Tory Councillor Karen Packer for Barkingside, believes that all ticketing in the area should be put on hold and a solution to the problem found, such as setting up a resident’s only permit scheme. Many of the residents have lived on the street for up to 40 years and have never had problems in the past with parking on their own drives, until now. “Surely common sense says this should be looked at because these drives are very short,” said Cllr Packer. According to Redbridge Council leader Councillor Jas Athwal, it does seem as though an error has been made on this occasion. According to Cllr Athwal, if a car blocks a pavement and causes an obstruction then a ticket will be issued, however, if the path is wide and the vehicle’s back wheels aren’t on the pavement and only sticking out slightly, then this shouldn’t be a problem. If necessary, the wardens responsible for handing out multiple tickets to residents on a daily basis will be retrained insists Cllr Athwal, who himself has received and paid for four parking fines whilst being in office. For more information regarding our car leasing services or special deals please click here, or give us a call on 0800 311 8290.